Recently, I decided to order Bossypants by Tina Fey on my kindle. I was undecided about Tina Fey. I really did not care for the tv show 30 Rock but in general thought Tina was an interesting person so I decided to give it a read. Man, Tina Fey is funny! The stories in this book are not in chronological order by any means but they do follow a trend that makes them all blend together. Tina has a ton of funny stories about her childhood as well as throughout adult-hood. One of my favorite stories she told was about her honeymoon with her husband. They went on a cruise and ended up having a scary time on board where they thought they might have to be separated. Afterwards, Tina's husband says it must have been hard for Tina to think she would have needed to refused a lifeboat in order to stay with him and she says that she thought how hard it was going to be for him when she got on a lifeboat and left him behind. I found that extremely amusing. Tina goes on to explain that if in Titanic Rose had gotten on a lifeboat, Jack would've been able to survive on that piece of wood and she would not do the same thing to her husband. There are a ton of amusing anecdotes from her life and Tina writes them very well. I was on the fence deciding whether or not to read this book but I'm definitely glad I did. It is not as funny as Ellen DeGeneres books are but it is definitely worth the read! There are even some funny tales from when she pretended to be Sarah Palin on SNL- which I greatly enjoyed. Overall, I would recommend this as a great summer read. You can easily stop and start this book since there is no intense plotline. It is easy to read whenever you have an opportunity and not have to read straight through. 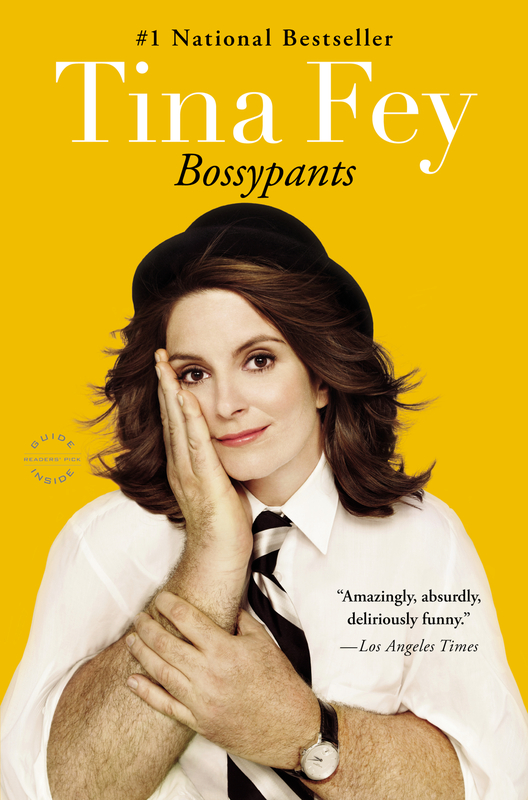 If you have a Kindle, Bossypants is only $4.99 on Amazon which is not a bad price. I have read a few other books throughout the summer so I will be posting reviews on those over the next few weeks as well!